Yourk Air Condition and Heating Inc. Fix it right, or don’t pay! Family Owned & Operated for over 8 years! Is your AC not working right this summer? Give us a call. We will take the time to properly diagnose your problem and offer you all the possible solutions to get your air conditioning working like new. We take the stress out of repairing your air conditioning unit, and we will get you cool and comfortable in no time. Yourk Ac is committed to providing the best heater & furnace installation service in the Modesto area. We offer our clients the best options for heating units at the lowest prices. Having trouble with your heater or furnace? Give us a call today to get your free estimate for a new installation of any type of heating unit or furnace. Having trouble with your heater this winter? We can bring your heating unit back to life. We have the expertise to repair any faulty heater component such as thermostat, pilot and ignition control, condenser, air filter, or air flow issues. 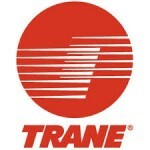 We understand the unique heating needs of the Central Valley. If you are looking to get the most out of your heating unit investment we have the perfect solution for you. Yourk Ac’s signature maintenance program will keep your heater running efficiently and effectively year in and year out. Start protecting your investment with our cost-saving heating maintenance plans. Yourk AC specializes in providing high efficiency commercial HVAC solutions. We design and install commercial HVAC solutions as well as provide maintenance and repair services for all types of AC and Heating systems. Yourk AC in provides exceptional service for all of our clients while offering cost-efficient HVAC solutions unique climate in the Central Valley. For your protection and to serve you better we are licensed, bonded, and insured. Yourk AC is a full service heating, ventilation and air conditioning (HVAC) company. Since 2005 Yourk AC has been servicing and installing air conditioning and heating systems for residential and commercial customers throughout the Central Valley of California. We provide a wide variety of services that range from small residential sector, commercial property maintenance to large commercial contracts. 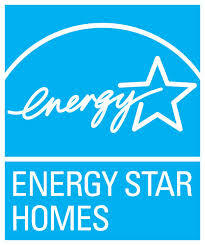 Yourk AC is licensed, bonded and fully insured company. Our certified technicians take pride in their work. 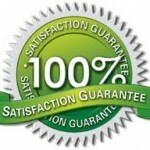 We stand behind the quality of service our company provides, and guarantee all of our work. 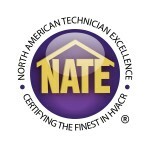 Staff: Technicians are NATE certified and factory trained.We are licensed bonded,insured.